To get a better experience with our home designs, please download other browsers for free. Just click on the icon! Ask a question about this photo. Professionals on homify are encouraged but not obligated to answer questions. Polite questions are more likely to receive responses. Note: You can revoke your consent by emailing privacy@homify.com with effect for the future. This Professional will reply as soon as possible! 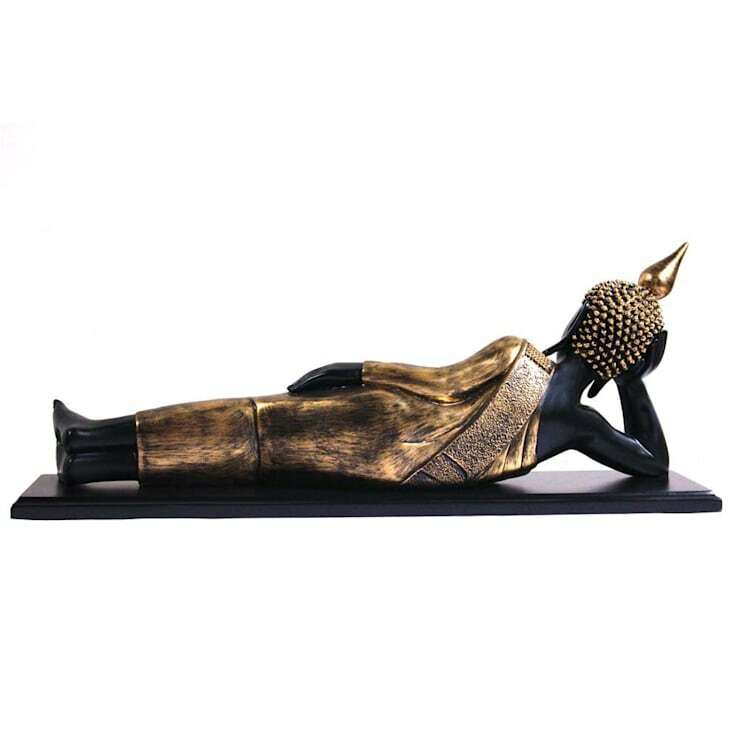 reclining statue of Thai Buddha wearing golden attire is entirely an exclusive decorative showpiece. It is made up of Polyresin in black matte finish on rectangular base add a touch of elegance in style. It measures approx 23” x 5.5” x 9” inch. ["IN"] [Published] Where should I keep a Buddha statue at home?